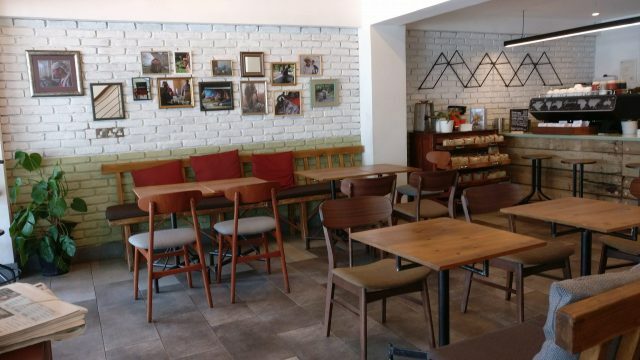 Let’s be honest, speciality coffee is quite #trending in Cyprus at the moment but I have to give it to The Daily Roast as one of the first ones to use it. Once a pioneer, always a pioneer. And that’s confirmed after my visit last week. Homemade artichoke tarts, mascarpone butters, pomegranate tarts and comfort sandwiches by Petros Andrianou were just the beginning. The coffee is indeed speciality, aka premium. It’s basically any coffee with a score of about 80% in the SCA scoring (Speciality Coffee Association). 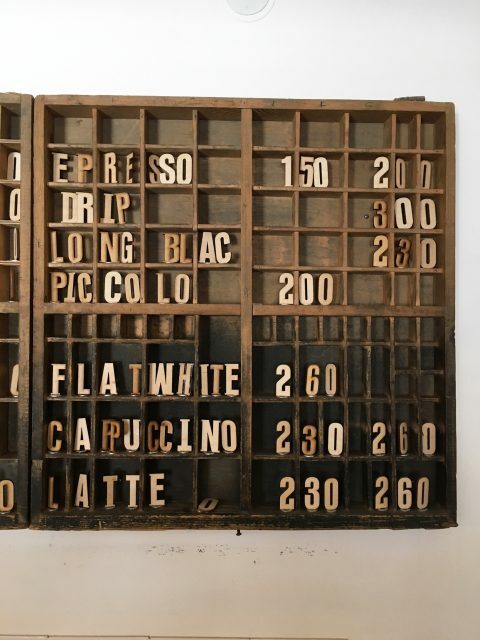 Their coffees change every 2-3 months to allow for more seasonal ones, as a way to maintain quality and excitement. Every coffee is tested before put in store. Be sure to try the nouse espresso blend (Brazil & Colombia). The coffee is good, really good. But you kind of expect that. That’s why the biggest surprise of all was the food. I know Petros for a long time so when I heard he was making all-day snacks for The Daily Roast I almost ran there. 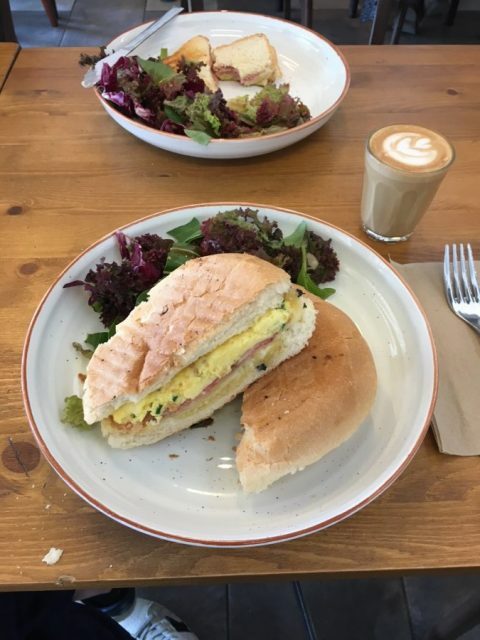 Apart from savoury tarts, he also makes sweet tarts, healthy snack balls, all kinds of sandwiches (hurrayyyy) and… wait for it… a selection of cooked breakfast eggs (including omelettes). 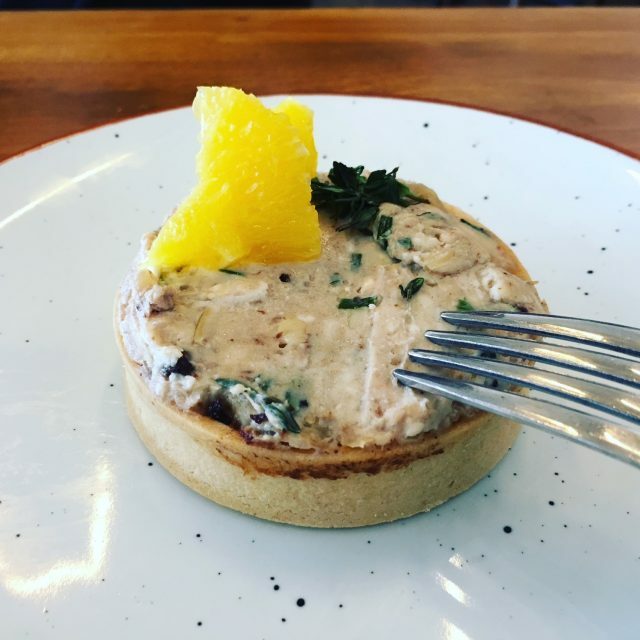 I didn’t have the pleasure (or the capacity) to try them all, (although I did well), but: the Artichoke Tart with goats cheese, chestnut, orange and black olives was beyond yummy and probably my favourite. It was salty and rich in cheese but perfectly balanced with the mild artichoke flavour and the mildly sweet (homemade) crust. The Ham & Cheese toast with prosciutto cotto, aged cheddar and mascarpone butter was the definition of comfort food. 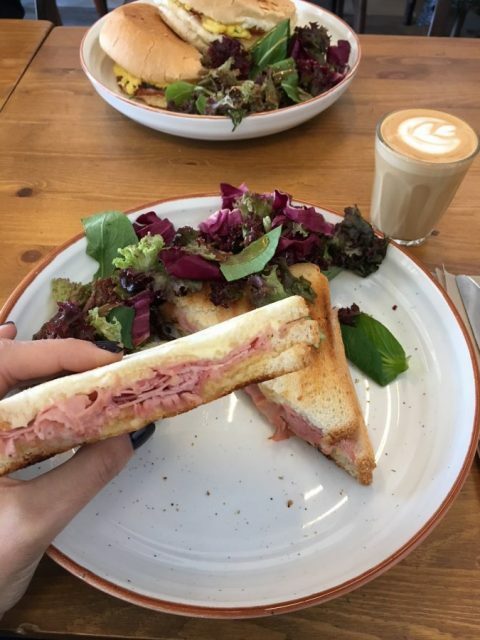 I could literally have that every day (morning, lunch and dinner) while the Scrambled Egg sandwich in a bun with coppa di Parma was not far behind. The healthy snack balls, homemade with all-natural ingredients and, of course, no sugar were an ideal snack for something sweet yet light (and my kids loved them). 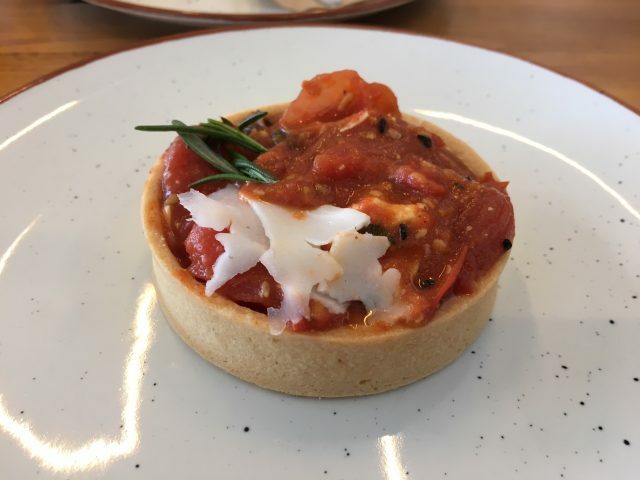 I wasn’t ecstatic about the Cherry Tomato Tart with parmesan and a sweet and sour flavour but I am sure other taste buds would appreciate it. As if all of the above was not enough I had to try a couple of desserts. 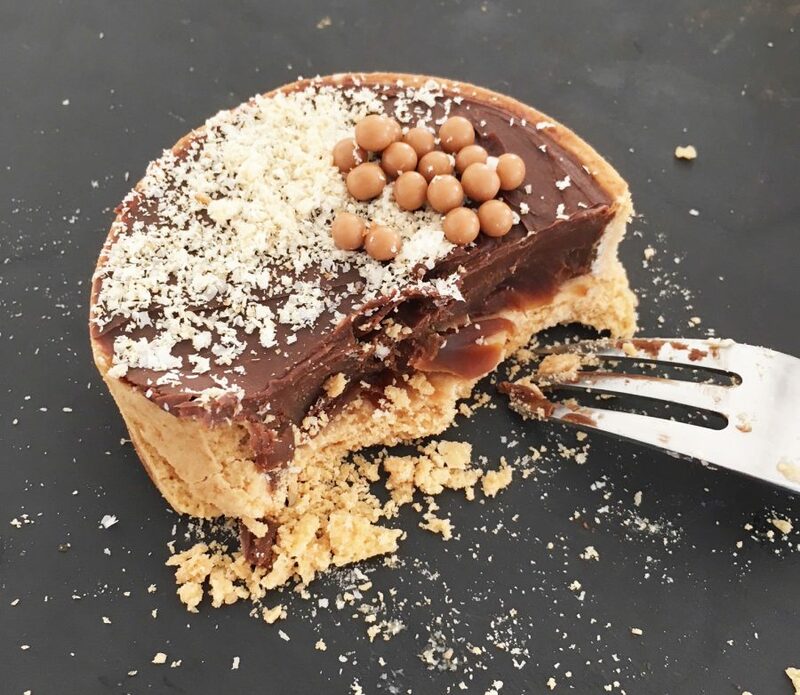 I was particularly happy to find tarts which are not overly rich and filling, but leave you in a light and satisfied state. Exactly how good desserts should be. 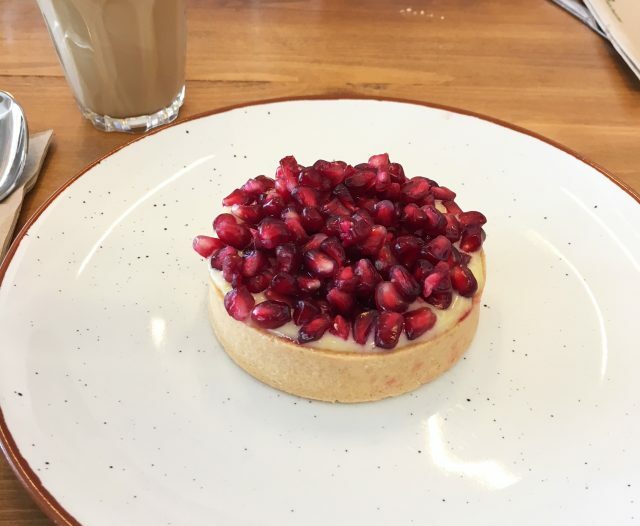 The Pomegranate Tart, something innovative I must say was creamy, light and refreshing. Great for all day. The Salted Caramel Tart which I took in a doggy bag and had the day after was everything a chocolate, a salted chocolate or salted caramel fan would die for. Whoever discovered this combination should get a food medal. Despite being rich it was at the same time very easy to eat. Although a friend said the Apple Tart was the best dessert (not apple pie, but “dessert” overall) he’s ever had I did prefer the Salted Caramel and Pomegranate Tarts. Last but not least for the first time ever I have found a place which serves a Portugese Tart. The only place I have had it besides London was on the Great British Bake Off (that’s on TV). 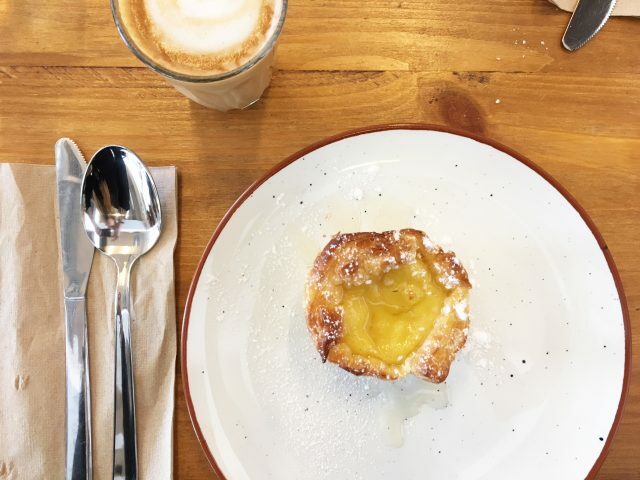 Although Aris and Petros said they could have it any time of day for me it’s the perfect coffee cake, a beautiful puff pastry with a sweet custard like cream. Think of it more like a Portugese “mpougatsa”. On my to-try list are: the chicken and aged cheddar tart (#truestory), the cooked breakfast dishes and any of the salads. Although the main thing it’s known for is its coffee quality I see it as an all-round experience. I was there for 2 hours, I chatted with every waiter, 6 people I haven’t seen for a long time walked in, while I had the pleasure of getting the tour by Petros and Aris in person. Hospitality and comfort food, all in one! For the gourmands, for the ham&cheese on-toast mouths, for the ones who like it light, for the sweet lovers. Go!